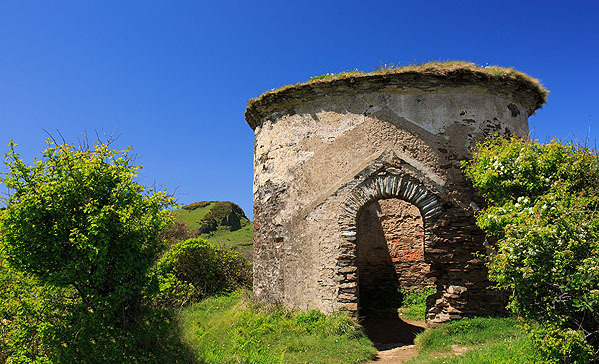 Ruined tower on the The Warren overlooking Widemouth Beach ( Private! ) and Water Mouth Cove. A C19 round tower, probably a look-out associated with Watermouth Castle.